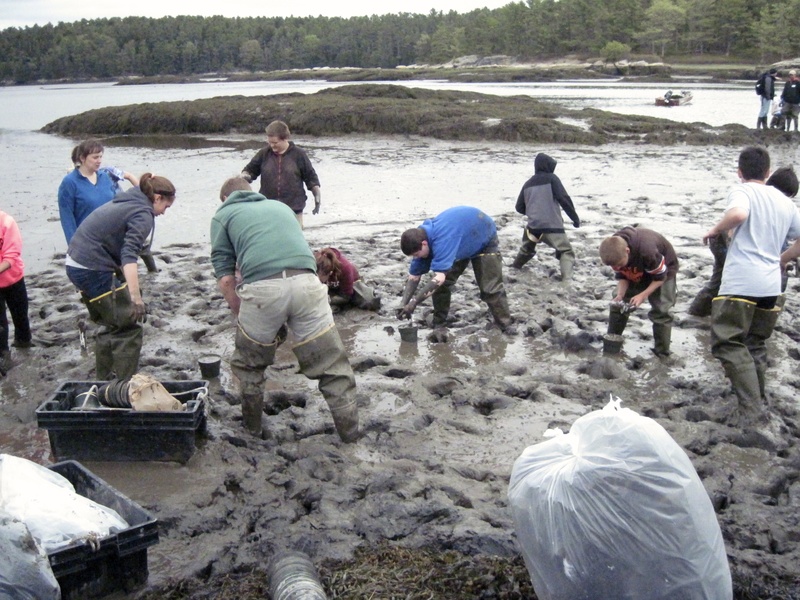 The entire 7th Grade at Woolwich Central School conducted a population study on soft-shell clams on May 23rd in the clam flats of Montsweag Bay, Woolwich. This was in collaboration with Marine Biologist, Dr. Brian Beal, University of Maine at Machias, The Woolwich Shellfish Committee, Tim La Rochelle and Dan Harrington and the Kennebec Estuary Land Trust, Ruth Indrick and Becky Kolak. We look at this as an authentic community effort to help educate our students about the effects of invasive European Green Crabs on our local soft shell clam population. 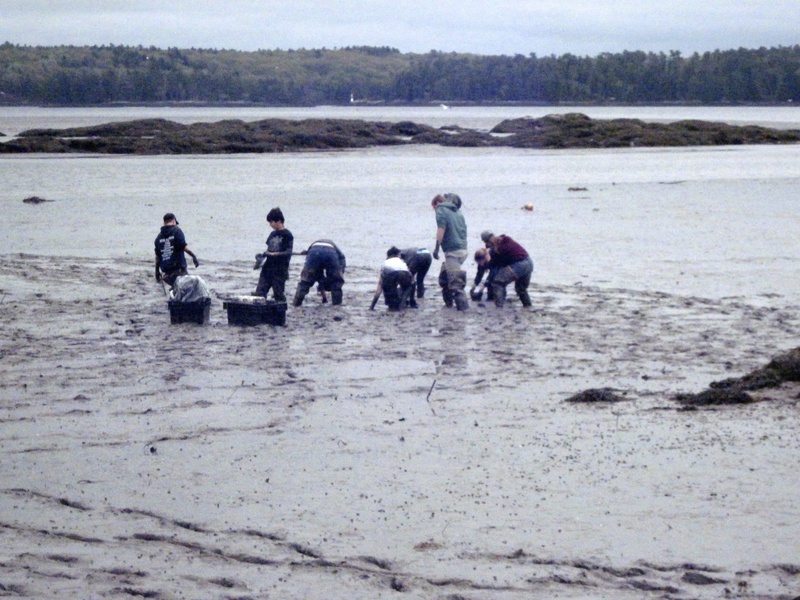 The population study methods are developed by Dr. Beal who has worked with many schools throughout Maine to engage students in understanding about the soft-shelled clam. 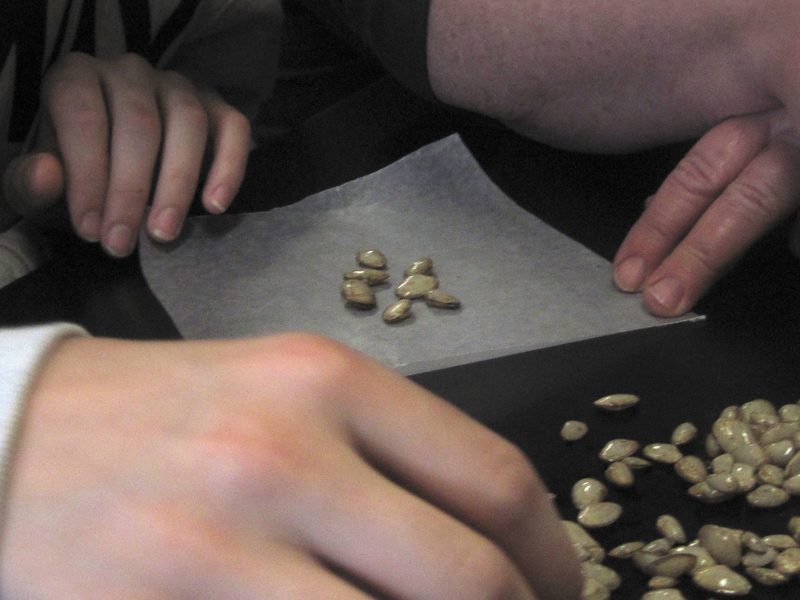 We will plant clam seed in plant pots, cover them with screening of two types to protect them from predators and compare clam seed mortality to plant pots without screening. This study will give us more information about the decimating populations of clams and the effect the European Green Crab is having on them. 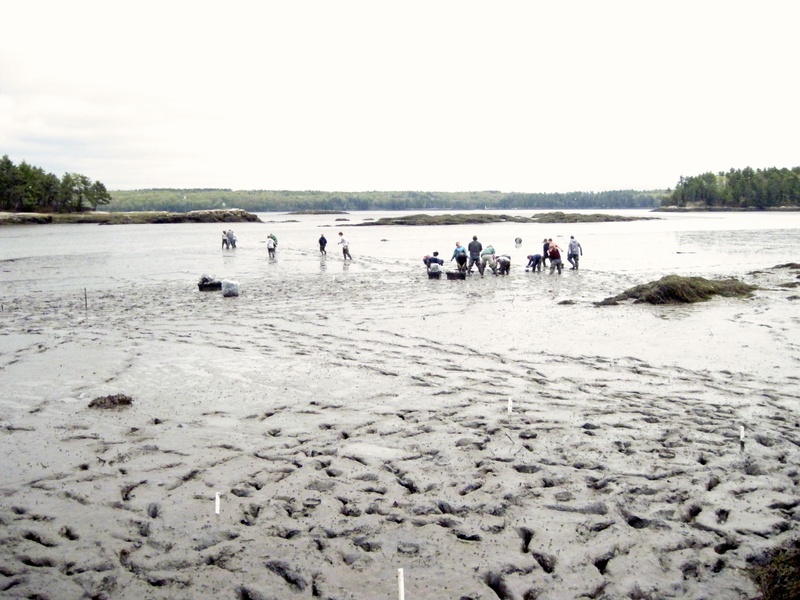 Thank you to Dr. Beal and members of the Downeast Institute for Applied Research and Education for assisting our students with the scientific methods and education in the mud flats. Many thanks to Ruth Indrick of the Kennebec Estuary Land Trust, who helped facilitate a grant to furnish our students with 25 pairs of clam boots for the project. Ruth and Becky Kolak spent time previously with our students, dissecting clams and teaching about water quality. Ruth was a great asset in the flats assisting and encouraging students through the muddy conditions. Another highlight of our day was the Maine Campus Compact who joined us in the field to observe our project. They represent higher education institutes throughout New England looking to incorporate similar models into their instruction. In late October, Woolwich students will visit the site again and collect data from the study. We will present a community showcase to inform the public of our findings. 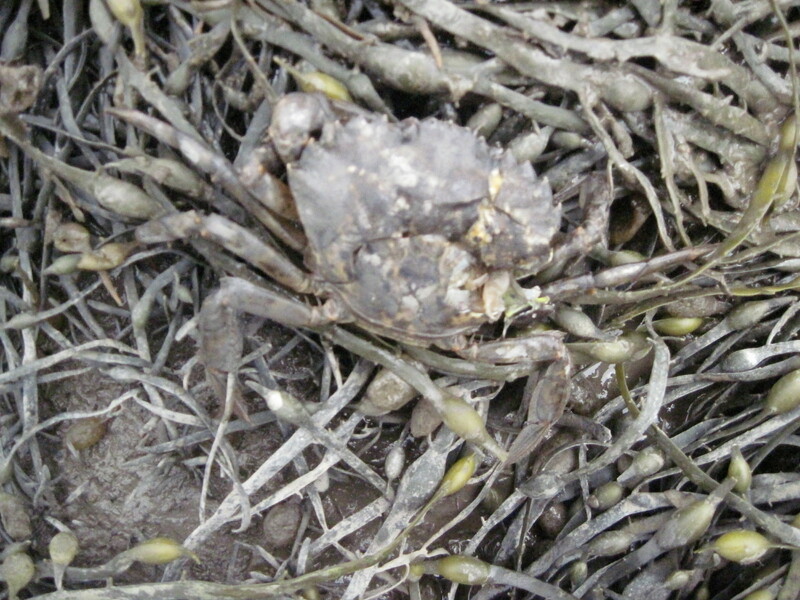 This entry was posted in Curriculum and Instruction, Engaged learning, General, Good teaching, Project learning and tagged Clamming, Denise Friant, Dr. Brian Beal, Invasive European Green Crab, Woolwich Central School. Bookmark the permalink.